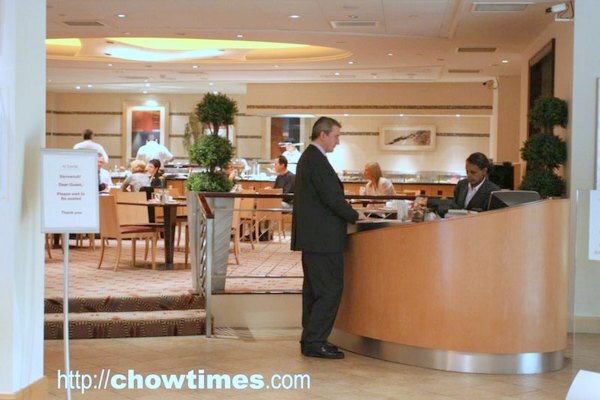 I stayed in the Sheraton Skyline Hotel in Hayes, just next to the Heathrow Airport. This is very much a business class hotel with very little tourist. It seems to me that people who stays here are very much people who works for the airport or aviation industry. I had some of my breakfasts in the hotel’s Al Dente Cafe. The cafe is very spacious, bright and cheery. I don’t know … to me this makes a difference in setting the day right. I always wanted to have an unrushed morning breakfast in a bright place and a newspaper to catch up on the news. And like to have breakfast alone … hate people talking to me during breakfasts! 🙂 So this is perfect. First came with a cup of coffee and a glass of orange juice. The coffee is really strong and smells good. A characteristic of a good cup espresso coffee is the layer of crema … and this has it. It’s a big cup too. Fantastic. Got to really apologize to all … there is no food in this blog entry. So, you gotta bear with me for one more time OK? I had a whole Sunday to myself before I start my training course. There were a few things I wanted to visit for the day. Planned everything to perfection and guess what? I overslept and woke up at 10am. I wanted to wake up at 7am to have an early start. Gosh. I was soooo upset and kick myself for oversleeping. Despite all these travelling, I thought jet lag is not a problem. I was wrong. There is a theory concerning jet lags which I have not fully figured yet … see if you agree with me. I was told that jet lag is worse if I travel from west to east (i.e. from Vancouver to London) than the other way round. I find that quite true. For that day, I wanted to cover the two war museums — the Cabinet War Room and the Imperial War Museum. I love history — especially war history. Anyway, most history is centered around wars, right? 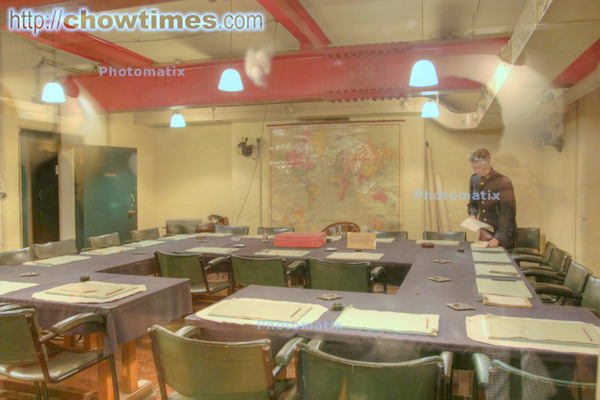 The Cabinet War Room is also known as the Churchill Museum. This is the exact location where Churchill and his cabinet conducted the war during the Second World War. The Cabinet War Room is engineered as a bunker with underground links to 10 Downing. 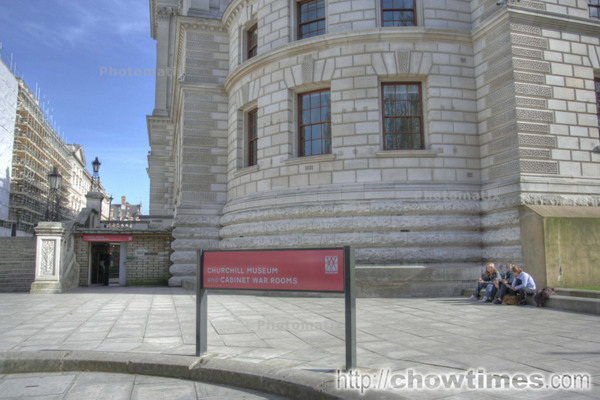 The Cabinet room (below) is where Churchill’s inner sanctum cabinet meet. I had a audio guide which describes in stunning detail each of every exhibit and room. 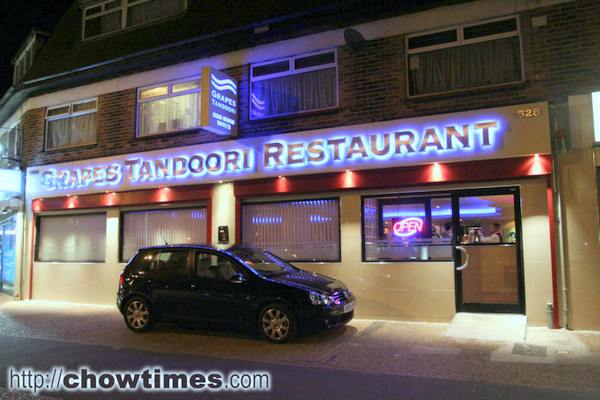 In a previous trip to London, I had an Indian dinner delivered from Sipson Tandoori. RR. 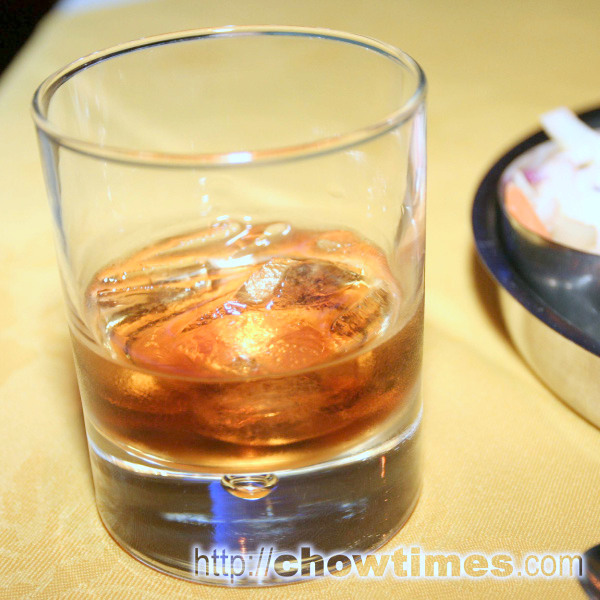 whose late father founded the Sipson restaurant, found my posting on the internet. We got in touch and exchanged a few emails and she invited me to try the other restaurant also started by her father, the Grapes Tandoori. I did go to the Grapes Tandoori on the first night I was in London. Locating Grapes Tandoori was easy. It was right on the rather busy Uxbridge Rd. The taxi driver did bring me to the wrong Grapes, the Grapes Pub which obviously did not resemble anything like an Indian restaurant. I got in early and there were only one other customer. Man, I must say that the service was attentive to say the least. I have never seen so many waiters in a restaurant, very unlike in Canada where a restaurant of this size would perhaps have 3-4 people max. Kind of unnerving, if you ask me. Because there were just two customers, the waiters were milling around my table and I do feel so … watched. Started with a drink. Wanted a cocktail but I guess either it’s not big in England or they don’t have it in Indian restaurants. Anyone can tell me why? Ordered the Sherry and Port which costs 2.50 GBP. I don’t really know what it is and when I asked the waiter about it, he told me he does not know either because he had never tried it before. I asked for recommendation but he could not either. Oh well, I just went ahead and ordered it. 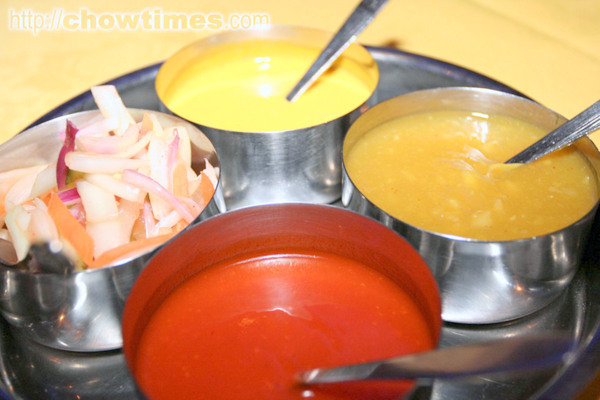 The waiters came by with a platter of condiments. I was really curious what it was but I guess I ran into some communication problem. 🙂 So, what I found out was that they were not spicy and one of them is onions. They do tastes good though. Since ChubbyPanda and LotusRapper commented about the topic I have a passion for yesterday, I decided to snug (sp?) in another blog entry … this time about the photography gear that I used for the trip to Europe. I know, I know … most people in their right frame of mind would balk on carrying so much equipment. But then, I find it really relaxing taking pictures … taking my own sweet time and alone. 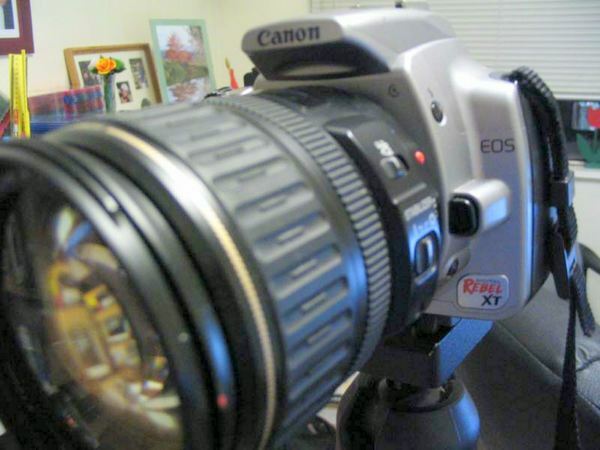 I have a simple dSLR — the Canon Rebel XT which I got for quite a bit of staff discount from the days when I was working for Best Buy/Futureshop. The Rebel XT is also known as the 350D or the Kiss in other parts of the world. Anyway, I learnt that Rasa Malaysia had just bought the same camera. You absolutely must check out her shots. The camera does almost everything I wanted from it. Frankly, to me the body of the camera is not the most important part of the photography gear. What is the most important is the lens. I brought along three lens for the trip. My favorite is the 17-40mm F4L — it is my so-called walkabout lens and the primary lens I used for my food shots. 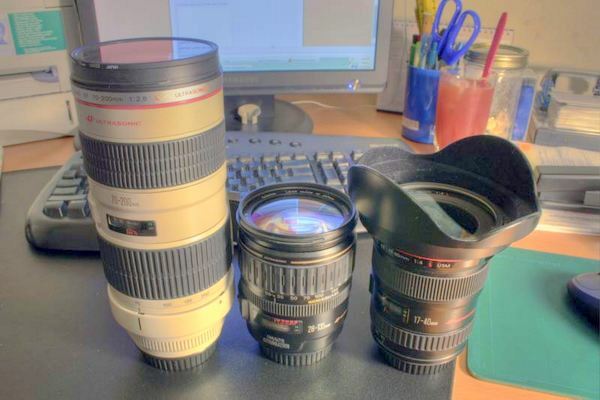 The better lens is the 70-200mm F2.8L, the long white one. This lens is a classic and simply the best, in my opinion, of all the Canon line-up — it is super fast with great bokeh. The problem is that this lens really make people notice you. It’s also a heavy lens at 3lbs … just the lens alone. The other lens, the 28-135mm IS USM is versatile but I used this lens the least. 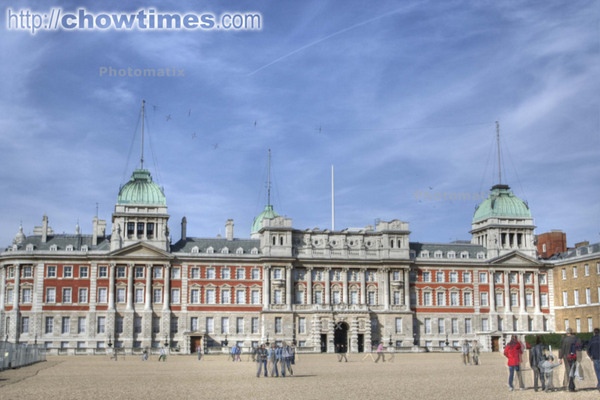 Laurie asked about HDR images in my first post on my London trip yesterday. Here is a very brief explanation on making HDR images. 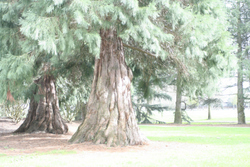 HDR stands for High Dynamic Range and is a technique for manipulating digital photographs in a way that it shows a wider dynamic range of exposures. The simplest way to describe is this: you take three identical shots of a picture with different exposure settings and then use a software to tone map the images into a single image which combines the best of each of the three images. Know what I mean? I just went out this afternoon to take some pictures to demonstrate this technique. Here is the typical picture I took with my camera with the setting set to “P” (auto mode). The picture is not bad. 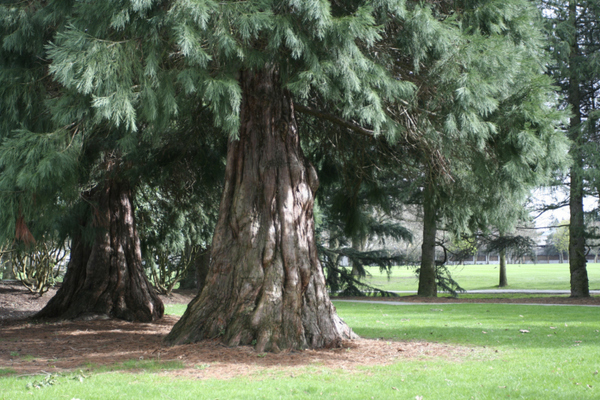 However, you notice the following … the tree at the back is under exposed and looked dark. The pine needles on the ground were over exposed giving a light orangey tone and the grass in the background was over exposed. 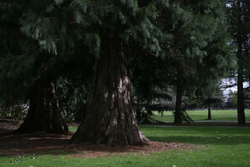 By manipulating the picture I get the following results: The tree in the back, the pine needles on the ground and the grass in the background is now properly exposed. Can you see the difference? It’s kind of hard to see the real difference with this daylight shot. So, how was this done? I went on a two-week trip in Europe a few weeks ago. 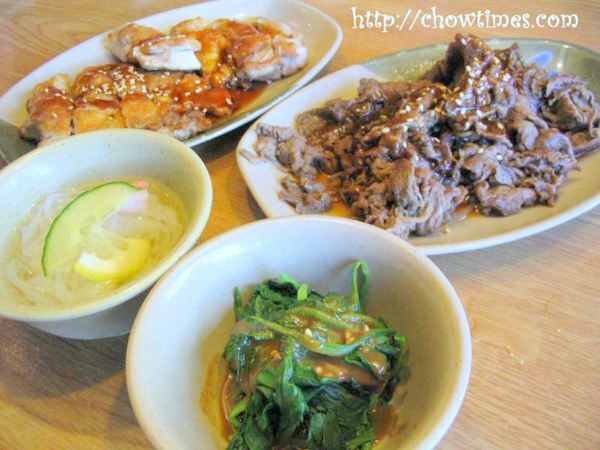 During that time, I had amassed over 30 blog entries on the travel and the food I tried. This means that I’ll be blogging the next one month and Suanne will have a long hiatus from blogging … i.e. no recipes or cooking class for the next little while. I had a scheduled 4-day training in London. I thought that I take advantage of the free flight there to visit a bit more of the parts of Europe that I had never visited before. Over the 16 days, I was in London and the cities in the “Low Countries” — Paris, Brussels and Amsterdam. It was a great trip. I bought some new photographic toys for the trip. Besides doing the normal touristy stuff and trying out the food, I planned to have a great time taking lots of pictures. So, I went and get myself a new long lens, the Canon 70-200mm 2.8L. The lens is a classic among the extensive Canon lens lineup. I also got myself a new Manfrotto tripod and a new software that allows me to make HDR (High Dynamic Range) pictures. 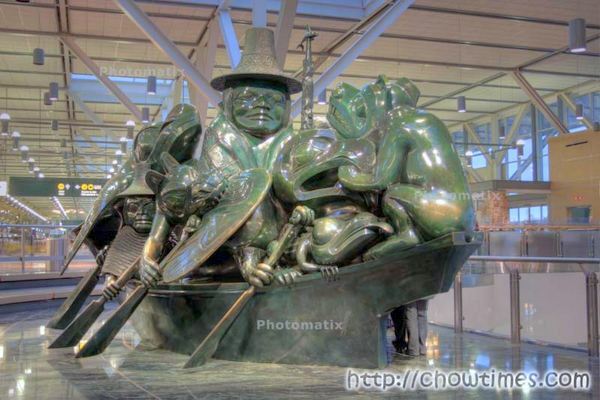 The picture below is taken at the YVR Airport of the Spirit of Haida Gwaii. It is extremely difficult to produce a shot like this in a dark indoor but with the HDR technique, one could bring out the details all round. Enough of photography. I traveled for the first time on British Airways from YVR to LHR. Overall, it was much better than Air Canada. Trust me, if you travel in this sector choose BA over Air Canada anytime. It is an economy flight. 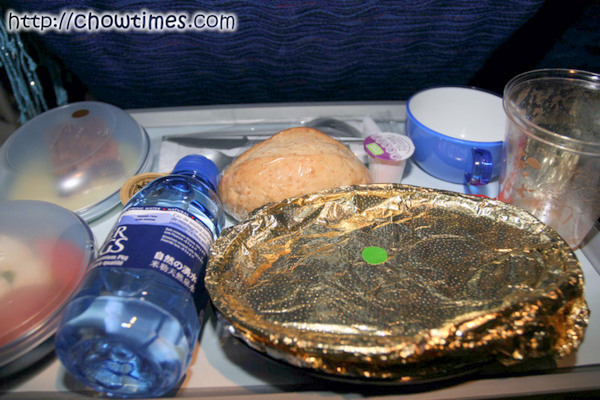 During the 9 hours flight, they serve drinks, a main meal and a snack box. 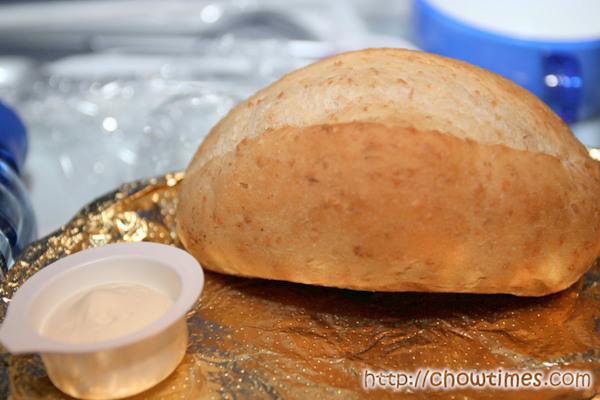 The main meal is pretty normal, consisting of bread, salad, dessert, chocolates and coffee. British Airways does not publish their menu on the inflight magazine like other airlines. So, I had no idea what was really served except that there is a choice of chicken or beef. The bread as usual is nothing to shout about. Airline bread for some reason is just soft, dense and not crusty. 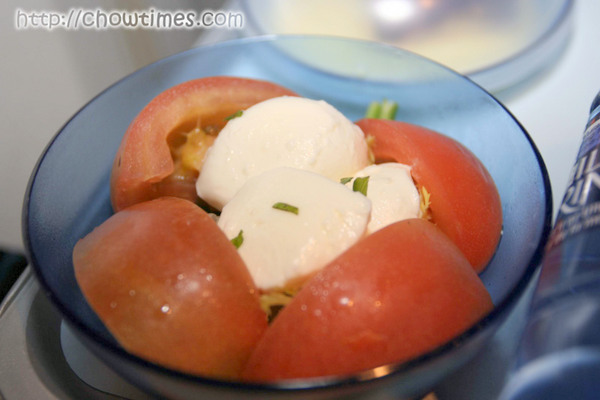 The tomato and cheese salad is OK. I like the cheese though. It’s a tasteless type but am not sure what this type of cheese is called. What is this called anyway? 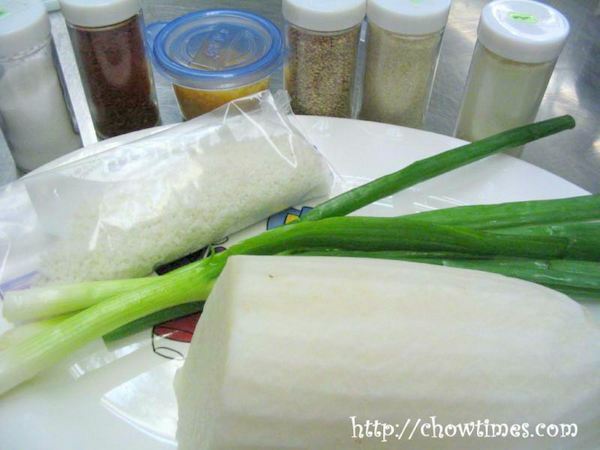 This is a Korean Salad and yet another simple recipe to make. 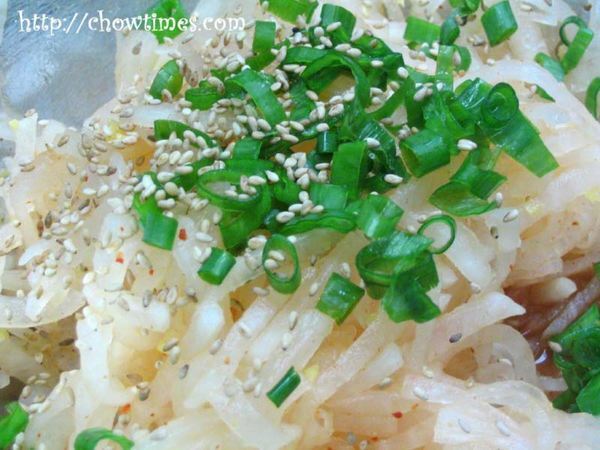 Radish Salad is one of the side dishes which is commonly found in Korean cuisine. Minnie demonstrated four dishes in the Gilmore Park Church community kitchen. 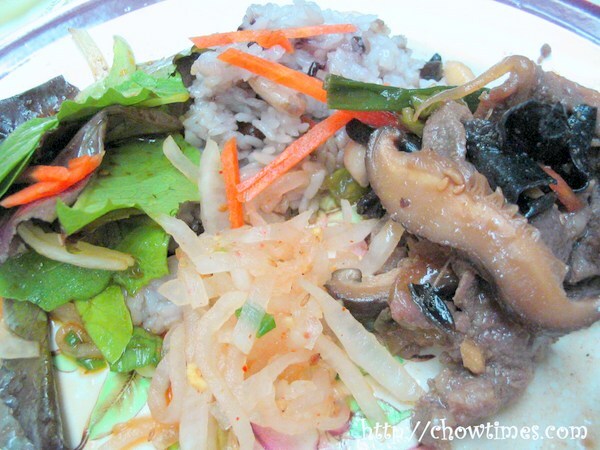 She made Korean Bulgogi, Radish Salad, Green Salad and Korean Rice. 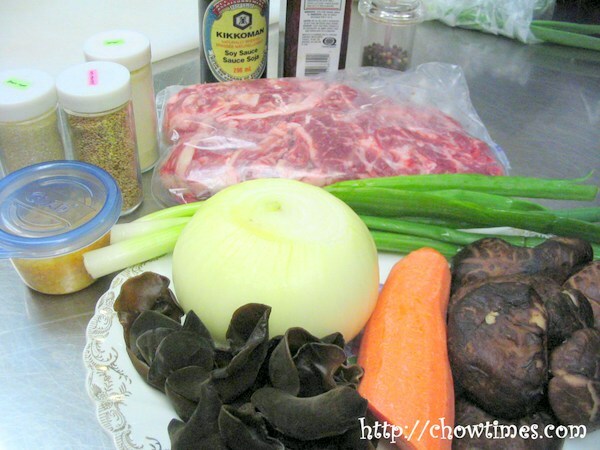 The Korean Bulgogi is very easy to make and it goes well with rice. 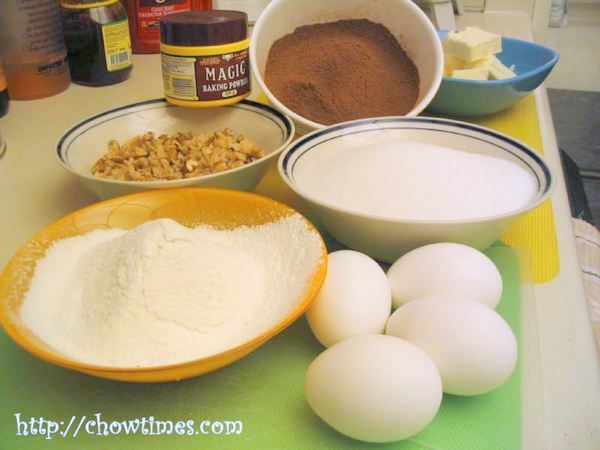 Minnie did not have the exact measurement of her ingredients. She goes by taste along the way. Polly, me and the kids celebrated the arrival of spring at Tomokazu Japanese Restaurant on West Broadway, just next to Toy-r-us. Coincidentally, that day was Polly’s family landing anniversary. We also took this opportunity to celebrate the birthdays of our kids which fall in March. There are four March birthday kids in the group. 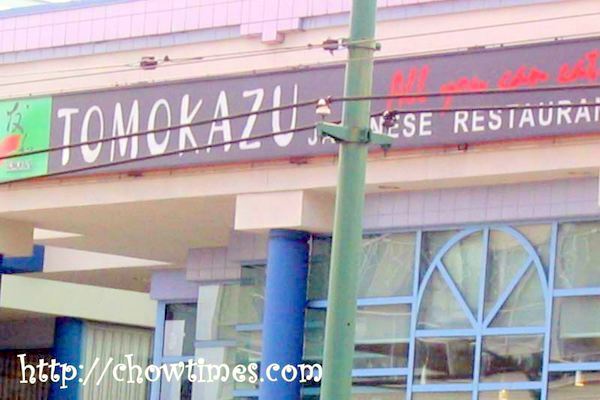 Tomokazu serves all you can eat; $9.95 for lunch, $21.95 for dinner and $11.95 for late-night. They also have regular menu which goes by the item you order. Check out their website for more details. We were there very early, just before 11:30 am; their opening time. We were sitted at a Japanese style table where we have to remove our shoes and sat on benches around a square table. 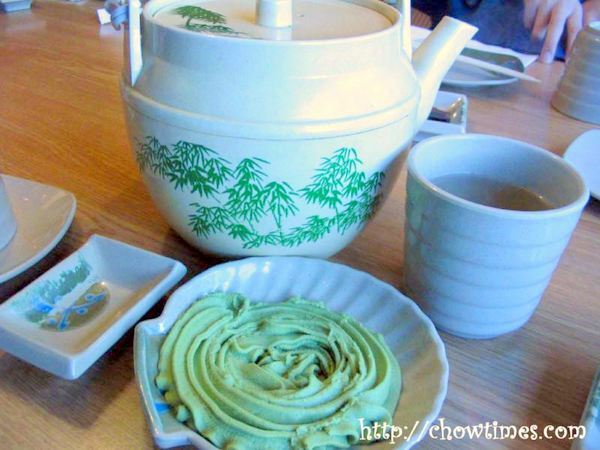 As usual we were served green tea and the condiments like wasabi. 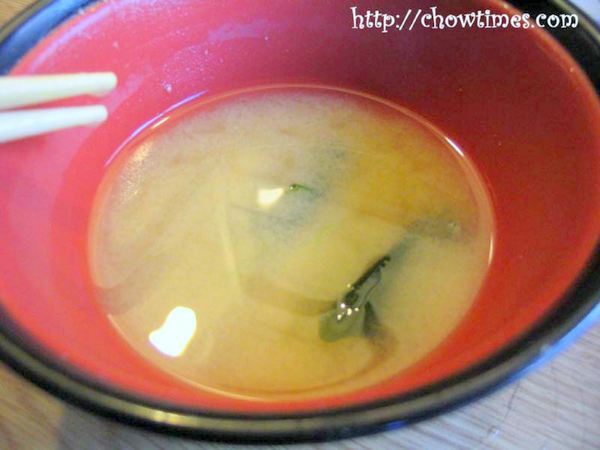 We ordered the Miso Soup, Goma-Ae (Sesame Spinach) and Ebi Sunomono Salad (Prawn Salad) as a starter. Come along are the Beef and Chicken Teriyaki. 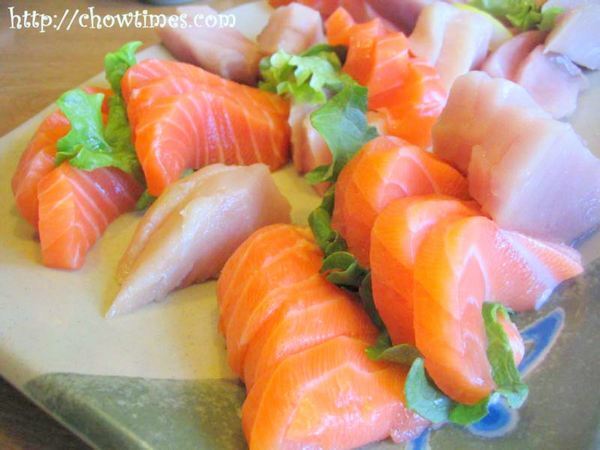 There is a limit of two orders per person for Sashimi. The boys love Sashimi and we ordered all that we can. Apparently, the kids do not quite like the Tuna Sashimi. They preferred the Salmon Sashimi. Have you ever crave for a slice of dense chocolaty brownie? Sometimes I do have such a craving. I have just the perfect recipe to satisfy such crave. 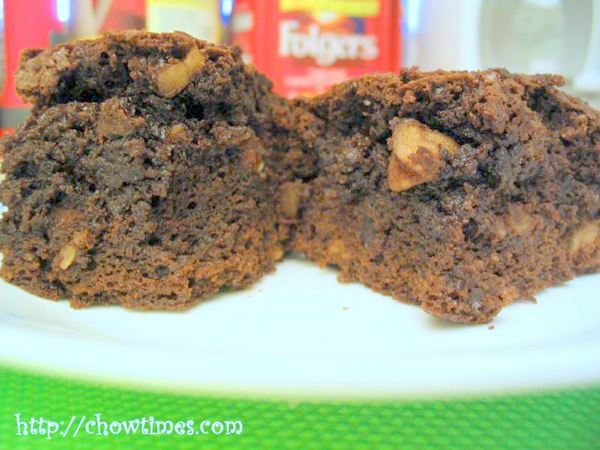 It is a dense and moist brownie which is crispy on the outside. A research found that cocoa is great for lowering bad cholesterol. Why not have a little indulgent which is good for your body.